Gaming, e-sports, or electronic sports are terms used for the competitive arm of playing games on your computer. Academics are trying to stop the 'obesity epidemic' by getting the young generation off the computer to get more active and play sport - the young generation's answer: e-sports gaming. Known by many as computer gaming, for those involved they prefer calling it e-sports. eSports do not fit in the definition of a real sport as it is not primarily a human physical activity, but is included on this list of sports as some people believe it should be. Most of these video game competitions involve genres which are real-time strategy, fighting, first-person shooter, and multiplayer online battle arena. The first recorded video game competition was held at Stanford University in October 19, 1972. The competition was called “Intergalactic spacewar Olympics.” The grand prize for which was a one-year subscription for Rolling Stone. 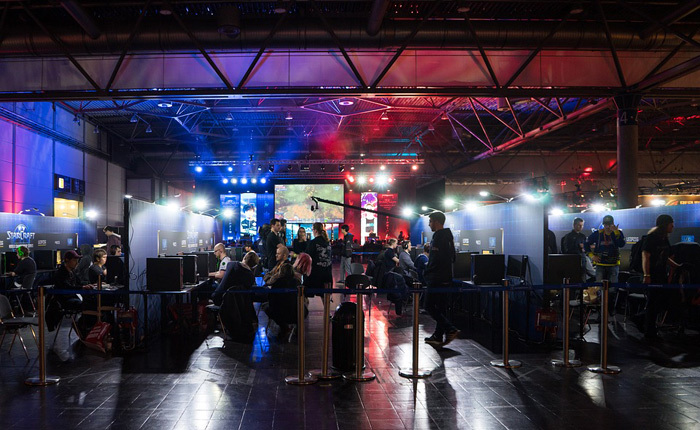 There are numerous competitions and tournaments which are organized every year; these include the World Cyber Games, the Intel Extreme Master, and Major League Gaming. Just recently, ESPN hosted a competition for the NFL-based video game Madden. Most of these competitions feature the popular video games Stracraft and Warcraft III. These competitions are often televised locally and internationally. Most of these competitions follow the single or double elimination, but sometimes they are hybridized in the group stages. In these competitions, there are referees and officials to monitor cheating between participants. The MOBA (which stands for multiplayer online battle arena) has taken young PC players by storm, with a format that emphasises teamwork and emulates many aspects of traditional sports. eGaming is very popular in South Korea, where many of the world's best proponents hail from, and where there is even a large professional league. There is beginning to be crossover between gaming athletes and the real sporting world. Several UK Premier League football teams have signed up FIFA online players to represent them in egaming tournaments. Robot Sports — sporting competitions involve robot machines battling other robots, often replicating the rules and equipment of sports (not a 'real' sport, as there is no human involvement). eSports was a demonstration sport at the Rio Olympics. discussion about what is a sport?